USADA announced today that UFC® athlete, Guido Cannetti, of Buenos Aires, Argentina, accepted a 10-month sanction after testing positive for multiple prohibited substances from a contaminated supplement. Cannetti, 37, tested positive for ostarine, the stanozolol metabolites 16β-hydroxystanozolol and 4β-hydroxystanozolol, as well as hydrochlorothiazide and chlorothiazide, following an out-of-competition test conducted on October 5, 2016. Ostarine and stanozolol are prohibited substances in the class of Anabolic Agents, while hydrochlorothiazide and chlorothiazide are prohibited substances in the class of Diuretics and Masking Agents. These substances are prohibited at all times under the UFC Anti-Doping Policy, which has adopted the World Anti-Doping Agency (WADA) Prohibited List. After notifying Cannetti of his positive test, USADA obtained opened and sealed containers of a dietary supplement that Cannetti was using at the time of the relevant sample collection and that he declared on his doping control form. Although no prohibited substances were listed on the supplement label, testing conducted on the contents of both the opened and sealed containers by the WADA-accredited laboratory in Salt Lake City, Utah, indicated that they contained the prohibited substances found in Cannetti’s sample. This product has since been added to the High Risk List of supplements maintained on USADA’s online dietary supplement safety education and awareness resource – Supplement 411 (www.Supplement411.org). 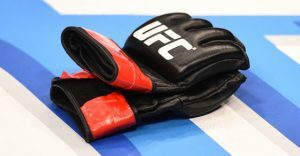 Under the UFC Anti-Doping Policy, as well as the World Anti-Doping Code, the determination that an athlete’s positive test was caused by a contaminated product may result in a reduced sanction. The sanction for a doping offense resulting from the use of a contaminated product ranges from a reprimand and no period of ineligibility, at a minimum, to a two-year period of ineligibility, at a maximum. Cannetti’s 10-month period of ineligibility began on October 28, 2016, the date on which he was provisionally suspended from competition. As a result of his positive test, Cannetti was removed from the Card for the UFC Fight Night event in Mexico City that was held on November 5, 2016.